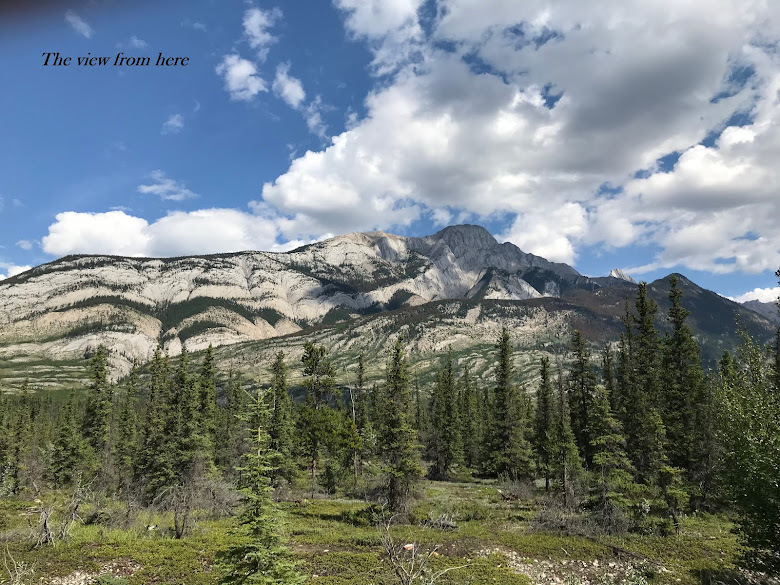 Some photos from 2018 that appeared in my posts on this blog. 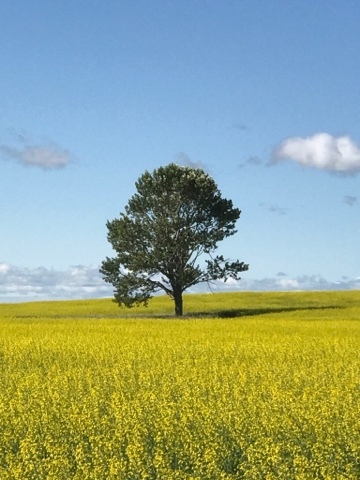 A small selection of photos from my guest posts over the past year. The only criteria I adhered to for this particular group of photos was this: "I can remember taking these pictures like it was yesterday." 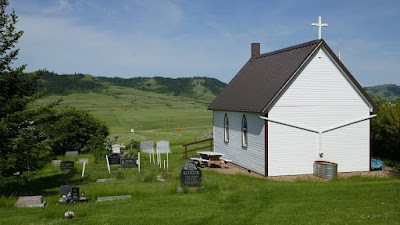 Above is Saint Columba Anglican Church and Cemetery located north of Moose Jaw, Saskatchewan. 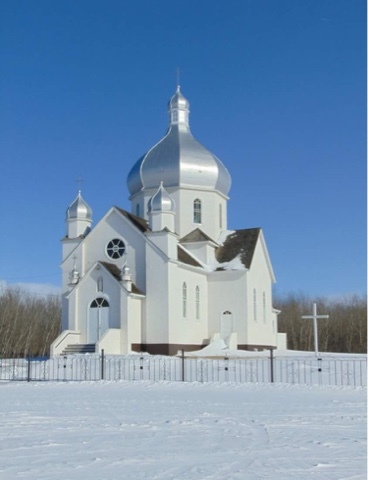 The church had its one hundred and twentieth anniversary this year and is very much original to the day it was built. 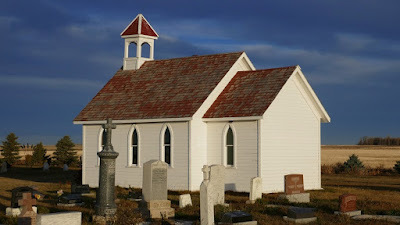 The cemetery and church grounds are still taken care of by descendants of the early church members. 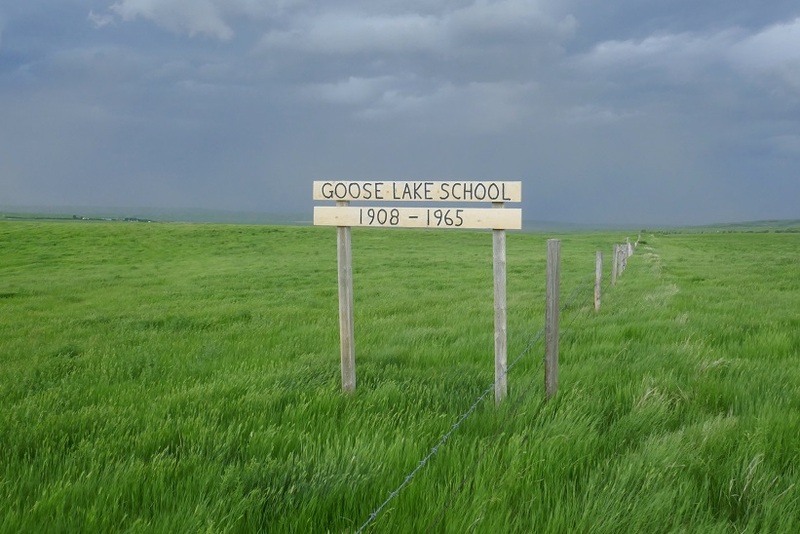 Directly below is the Goose Lake School sign photographed just before a heavy rain. 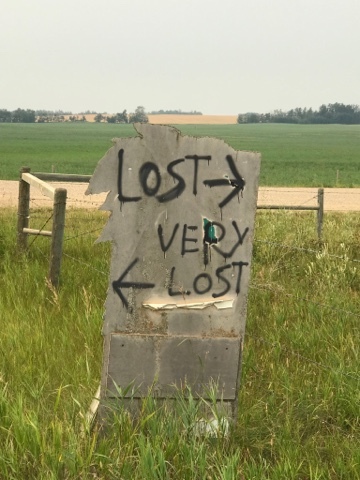 The sign can be seen along Eagle Butte Road in southern Alberta. The lumber from the original school here was salvaged to repair and restore another school that is now a private residence. 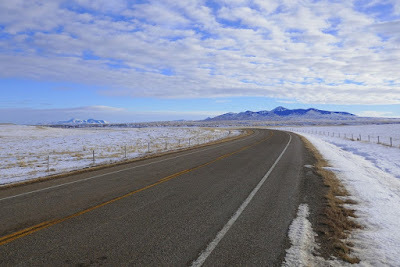 A shot taken on the American Thanksgiving weekend out along Mission Road in northern Montana. 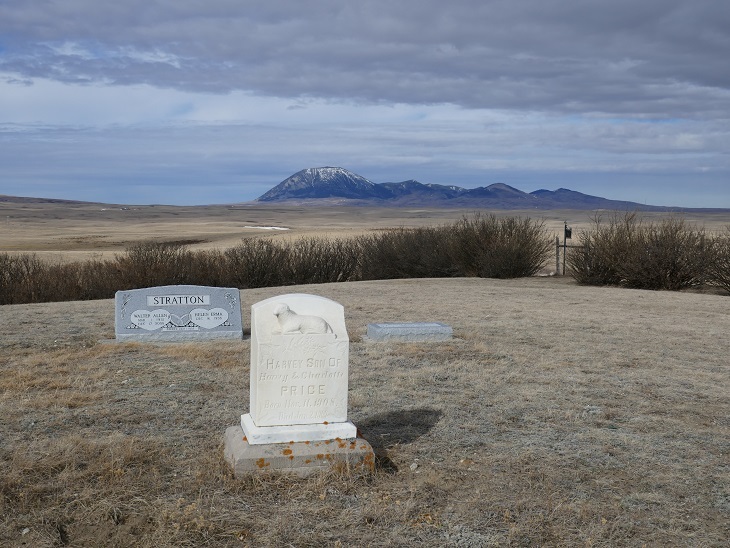 This cemetery is part of the larger Saint Peter's Catholic Mission that was established in the late 1800's. 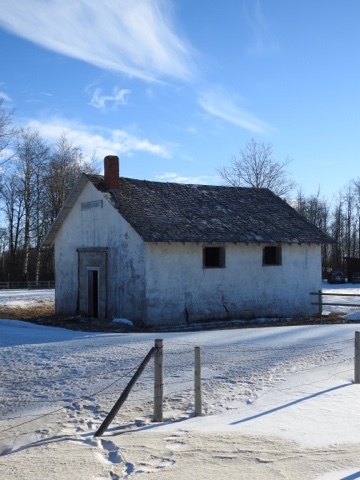 Just down the road are the original log church and the remains of the stone-walled mission buildings. 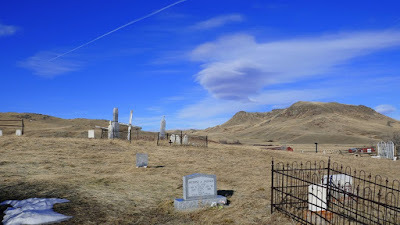 Joseph Memorial Cemetery of Whitlash with the Sweet Grass Hills in the distance. 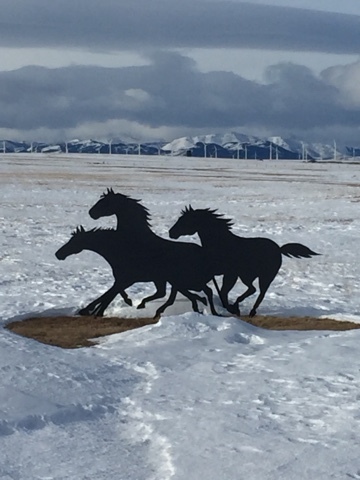 Located just a few miles off Strawberry Road in northern Montana. Just north of here is the Whitlash/Aden border crossing which is mainly used by locals on both sides of the border. When a stranger (like me) shows up the first question is: "Why are you using this border crossing?" 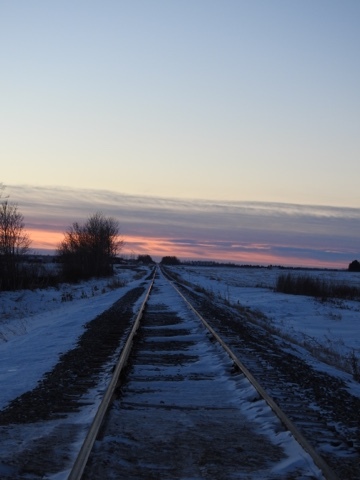 I should mention here that this border crossing is the second least used in all of Canada. So, the question is justified in the eyes of a border official. 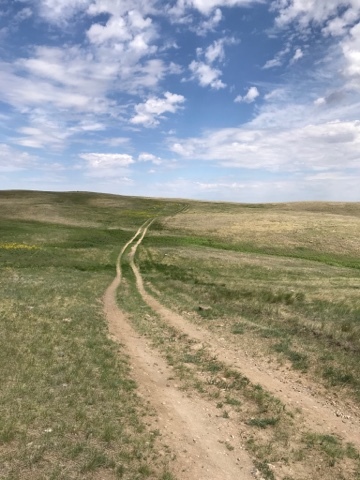 I've only crossed here a few times but they always look at me wide-eyed when I say, "the scenery here is just wonderful." 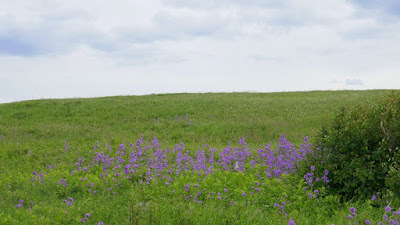 Looking at the photo now I can still remember the sweet fragrance of tall phlox in the air. 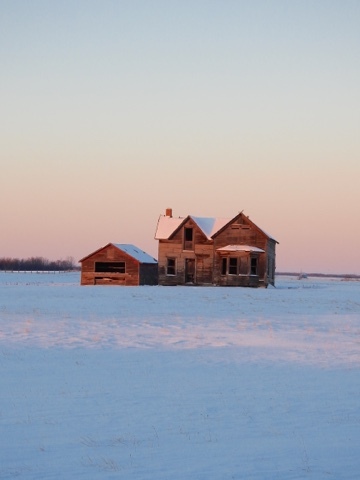 Not too far north from Elkwater, Alberta on a dead end road. 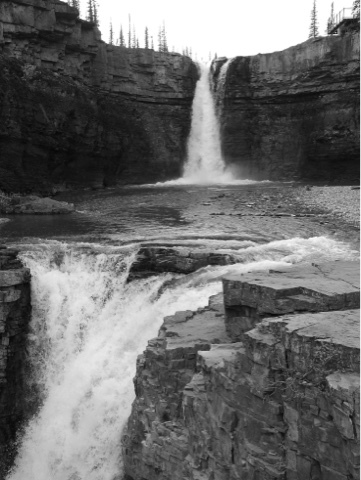 Great place for a rest, have a picnic and/or just enjoy. The Blusson School sign in late afternoon light. 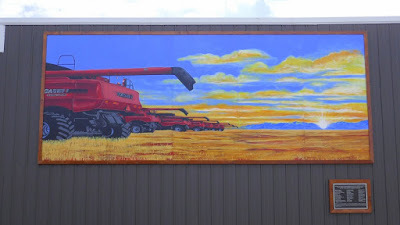 This is one of well over a hundred school signs in Vulcan County, Alberta. 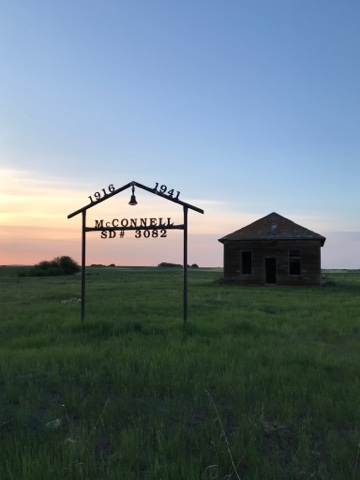 Almost all of the pioneer schools are gone now but some gracious soul with a vision and a lot of volunteers helped to preserve some of Alberta's past. 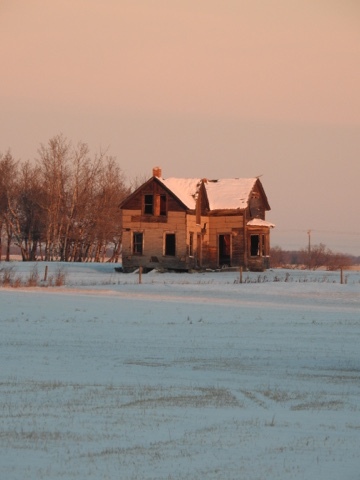 I consider it my good fortune to have seen this stark and beautiful sight in late November last year. Comrey Cemetery is not only remote in location but "feels" even more so. 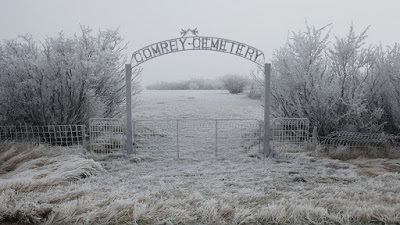 When I was just a few miles from the cemetery I saw a set of headlights approaching through the fog. 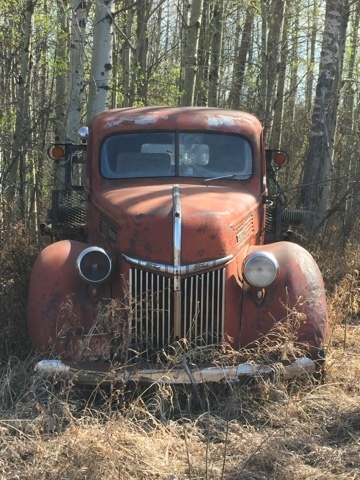 It was a one ton silver-coloured Dodge truck with a bale loader on back. 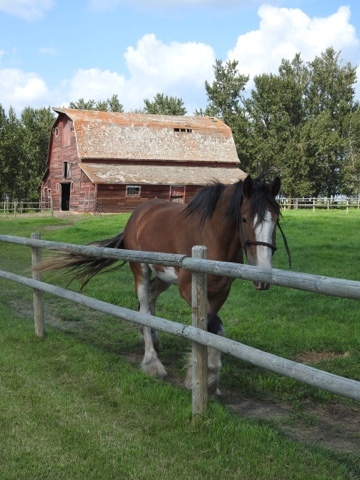 We stopped and had a little chat. He and his sister and her dog, a border collie mix, were heading out to feed the cattle. I said I was on my way to the cemetery to take some photographs and he said, "Too bad the sun wasn't out so you could get some really good pictures." 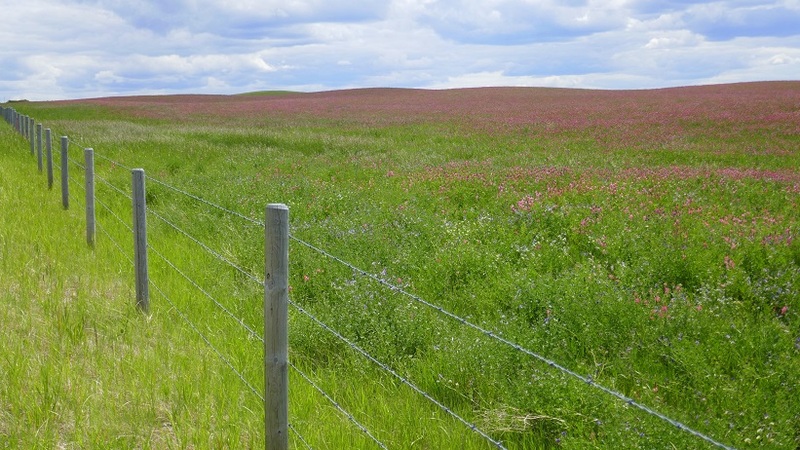 The pink fields in late spring along Eagle Butte Road. This big show of colour is something I look forward to each and every year. The Annenthal Baptist Church sign is a mile from any main road in any direction. The church is long gone but the cemetery is very well maintained by a local family. 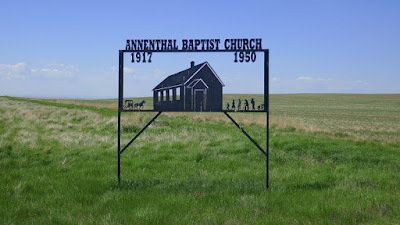 I always enjoy arriving at a place that was important in the lives of the pioneers. 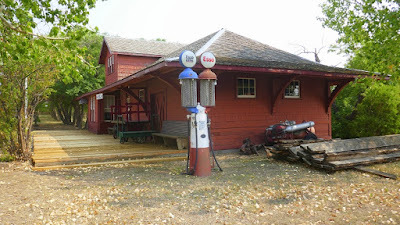 For me, these spots should be remembered, not as some romantic vision of the past, but for the stability they provided for the people at the time. Going to church on Sunday was most likely a highlight for most and the only time that people really were able to socialize for an hour or two. Christmas was "the" social event of the year. And if you were one of the lucky kids, you'd get to play Joseph in the Christmas pageant (like I did). Looking westward at Saint Margaret's Church and Cemetery in the Cypress Hills of Alberta. Back in the late-70's, when I first saw it, the church was in very poor condition and the cemetery was all but lost in the tall grass; it had been forgotten as a relic from the past until . 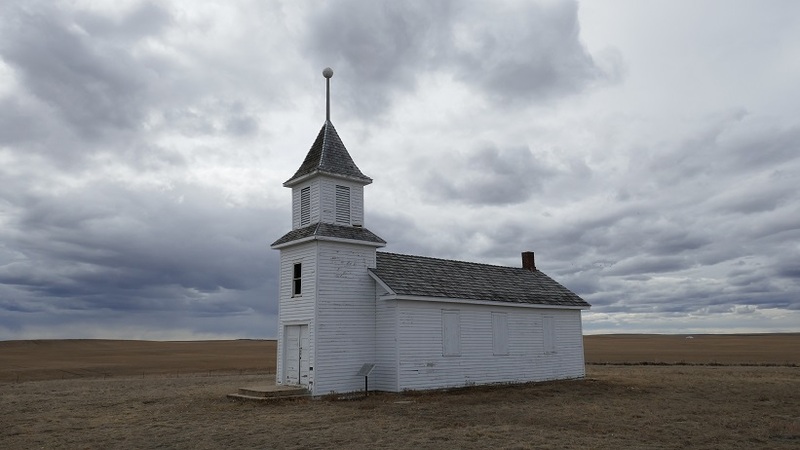 . . David Carter arrived on the scene and over many years and even more volunteer hours the building was completely renovated to become a fully functional, all-year-round church. 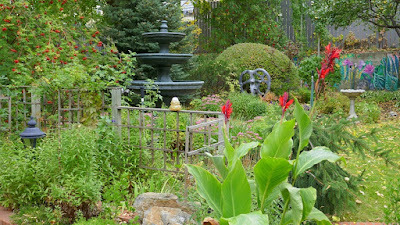 The cemetery is now well maintained and beautiful to say the least. 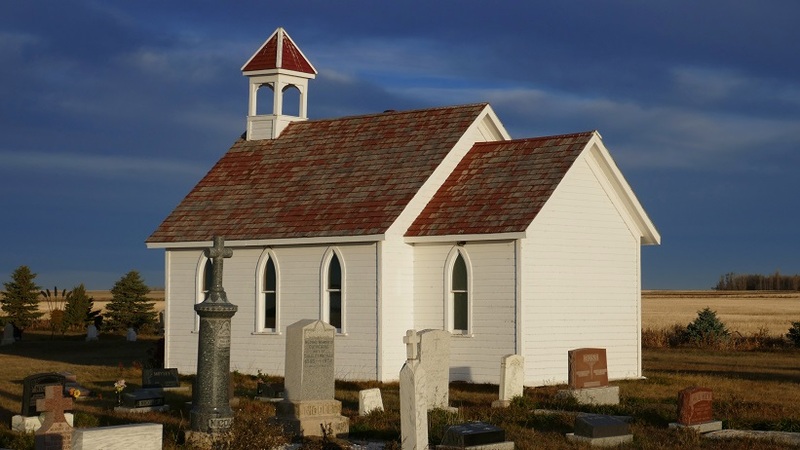 Throughout the year, the Very Reverend Carter still performs special services here that are well attended. The recent Christmas service was "a full house." 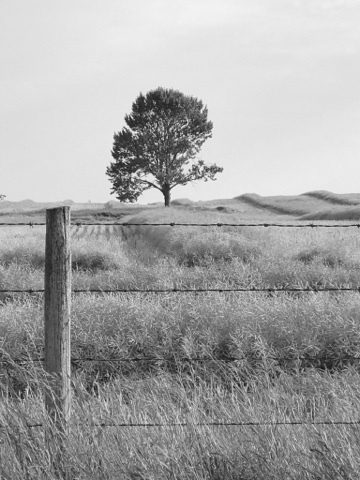 Thanks to BW for hosting my posts, and to all, my best wishes over the holiday season. Cheers! 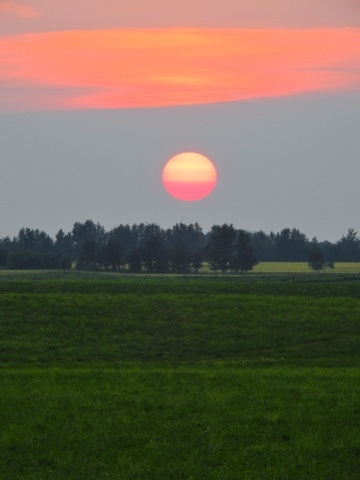 Tomorrow will be the last day of the year. I like to post a bit of a look back on December 31 and this year I am fortunate enough to have one posted by a co-blogger as well. I think he does a better job of this than me and I have been doing this kind of post for a couple of years. 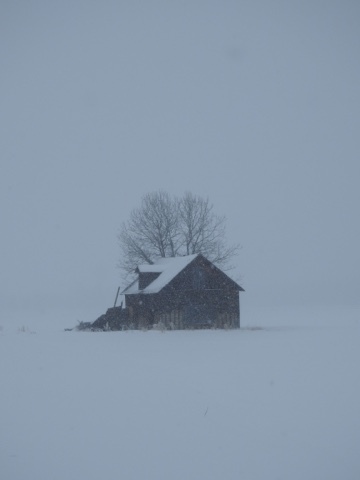 I had a bit of an odd year and things looked bleak a few times. I like to think I am an optimistic sort and believe 2019 will be better and brighter. I hope it is for all of you. 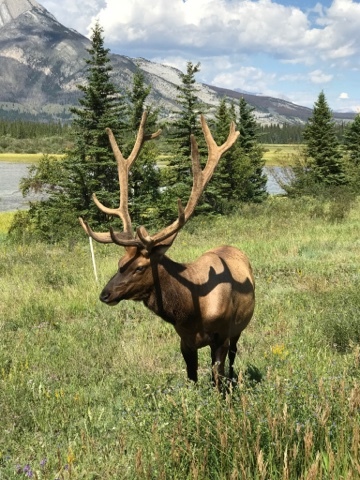 Early morning near Strome, Alberta. This is a brief selection of personal favourites from the past year. January 6: Above is a shot of the Sweet Grass Hills taken from the highway leading to Writing on Stone Park in southern Alberta. 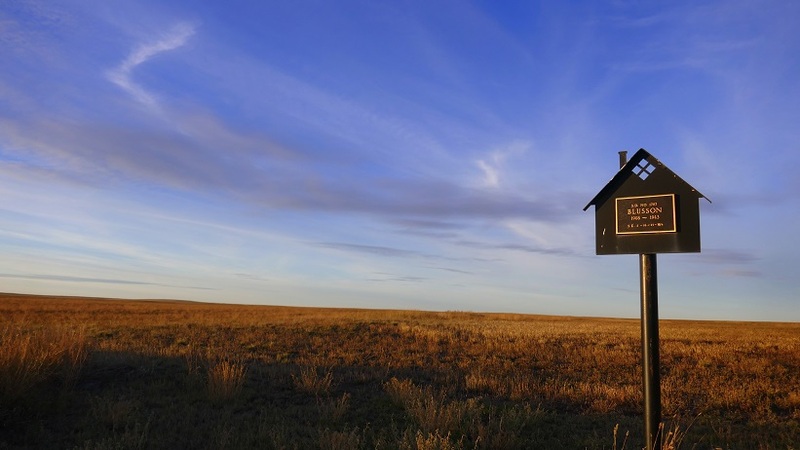 The hills are across the border in Montana. 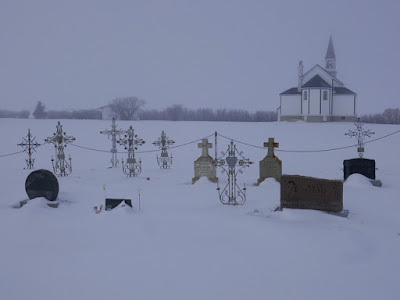 February 26: Directly below is a very foggy day at Saints Peter and Paul Catholic Church and Cemetery near Prelate, Saskatchewan. I love the iron crosses that mark many of the graves. The blacksmiths of the day were true artisans. 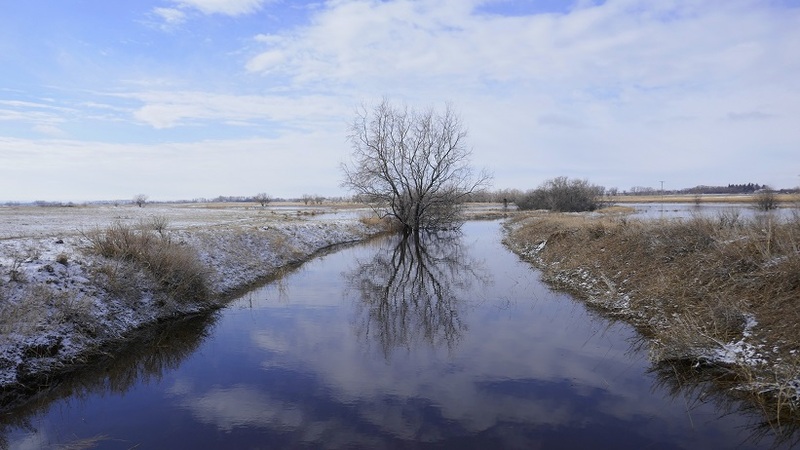 March 28: A natural spring located west of Medicine Hat, Alberta. A favourite spot for water fowl. 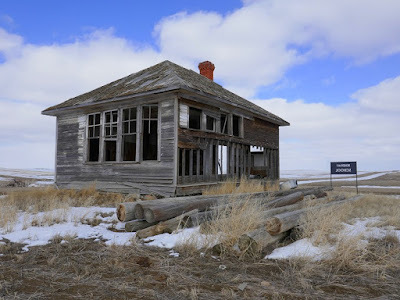 April 5: The abandoned Roseflat school house near Fox Valley, Saskatchewan. 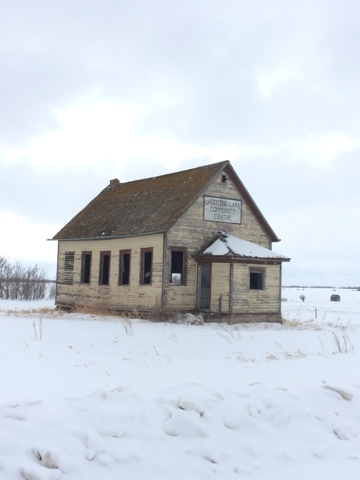 There are at least three other abandoned schools in the area. 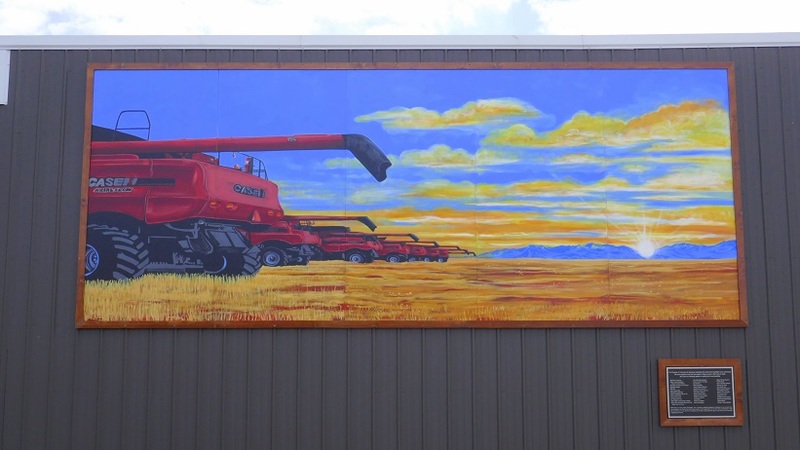 April 18: A mural in Big Sandy, Montana dedicated to the members of the community for helping out a fellow farmer at harvest time while he was undergoing melanoma treatments in Florida. Harvest doesn't wait. May 26: The lilacs in full bloom at Saint Margaret's Church and Cemetery in the Cypress Hills of Alberta. 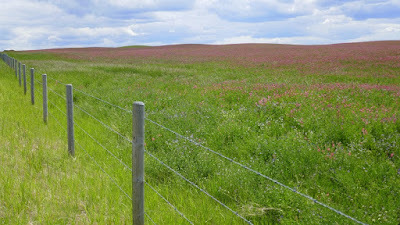 The lilacs always bloom about three weeks later in the hills than in Medicine Hat where I live. 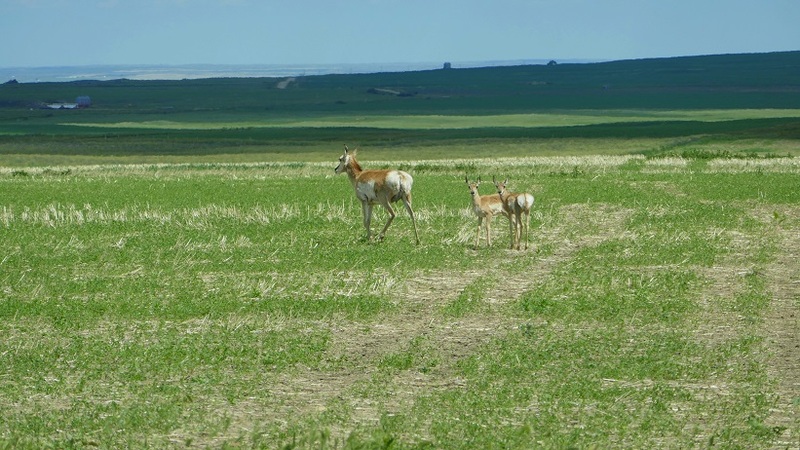 June 20: A pronghorn mom with her two little ones northeast of Elkwater, Alberta. 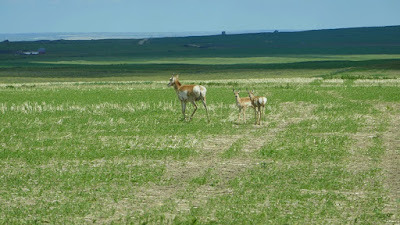 There were lots of pronhorns in the area this year. 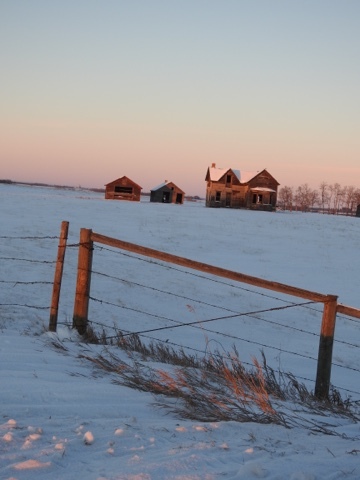 The landowner doesn't run cattle here so the gates are left open. 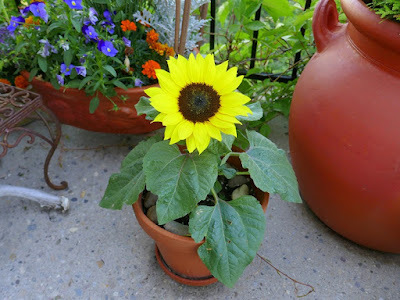 July 9: I planted this miniature sunflower from seed. 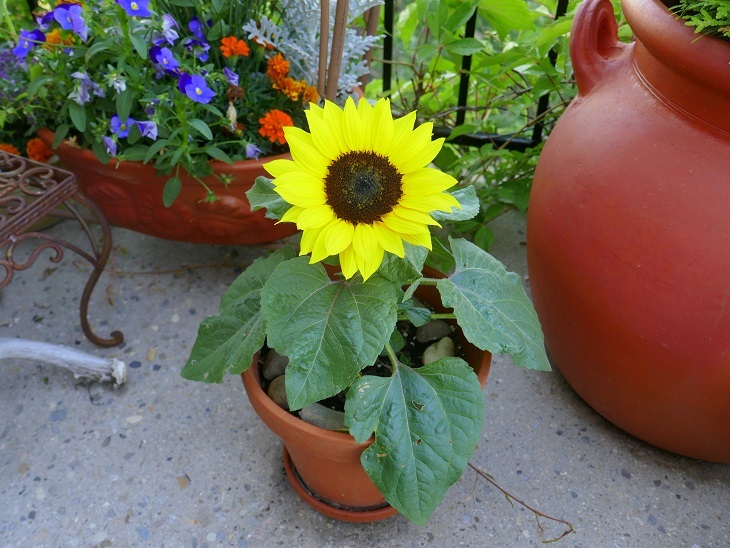 The first bloom appeared only seventy days later followed by another ten blooms over the next six weeks. 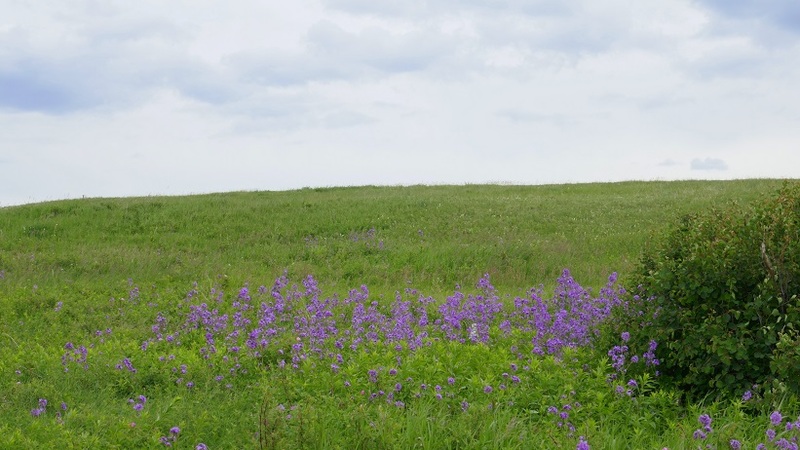 Although the plant is only about fourteen inches tall, each flower is a good six inches in diameter. It was a welcome addition to the balcony . . . in a word, "Happy!" August 9: The train station in McCord, Saskatchewan, now a museum. September 23: I'm a landscape gardener and this is my favourite workplace. I spend umpteen hours every year keeping up with things here. I also take care of the kitties when the owners are away. The kitties now have me trained very well to be their doorman and on-demand-cuddler. 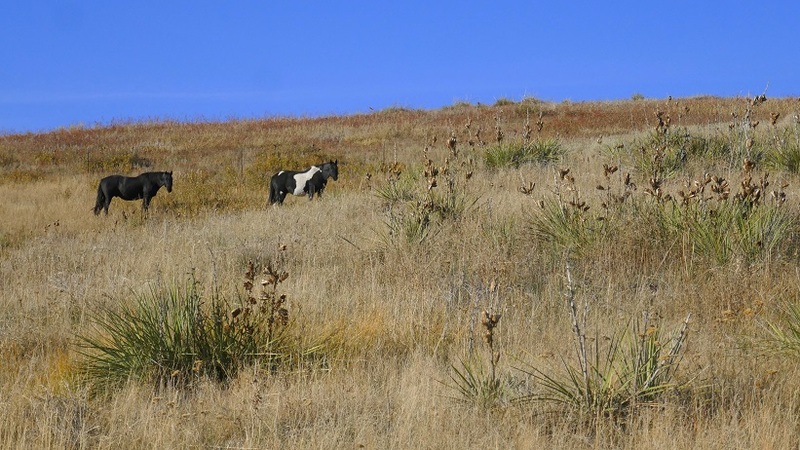 October 19: Horses in a pasture dotted with native yucca plants just northeast of Hays, Montana. In late spring the yuccas bloom with a three foot tall spike adorned with creamy-white flowers. 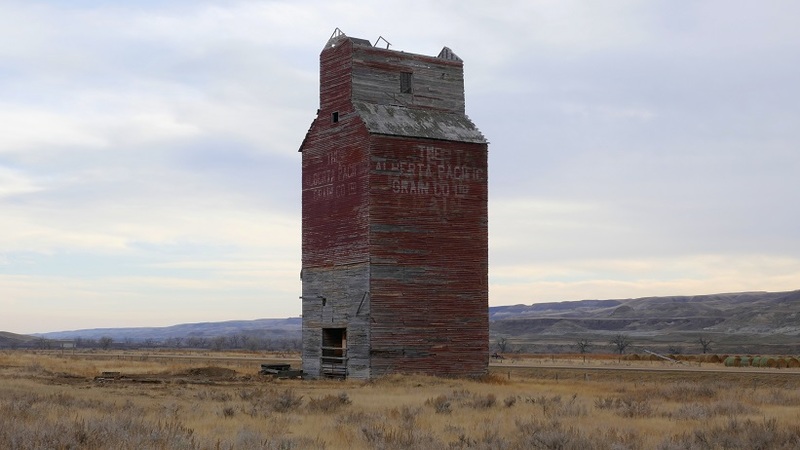 November 14: The old grain elevator in Dorothy, Alberta. Everyone has a photo or two of this one somewhere in their archives. 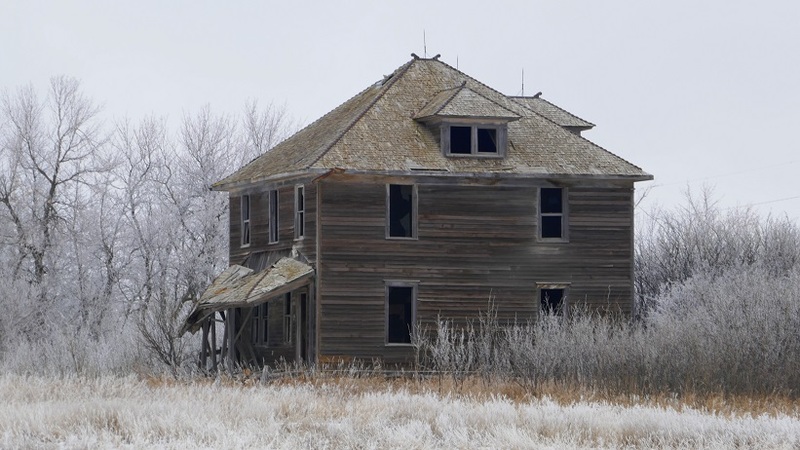 November 24: An abandoned house south of Larson, North Dakota. 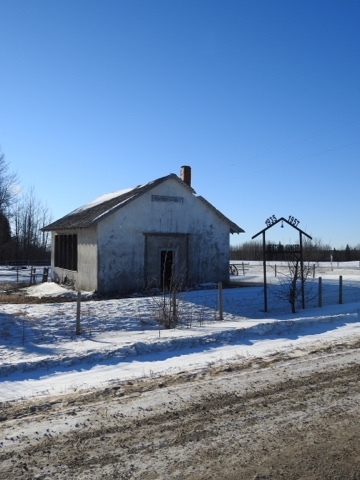 The lightning rods and roof finials are still in place. 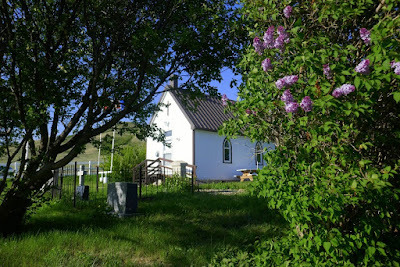 Several buildings in this largely Norwegian area have finial decorations. 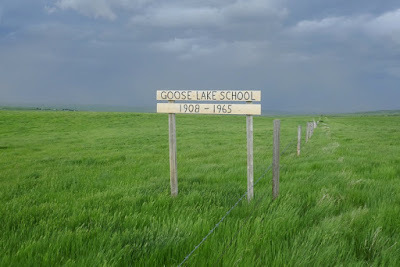 Many descendants of the first pioneers still live here. 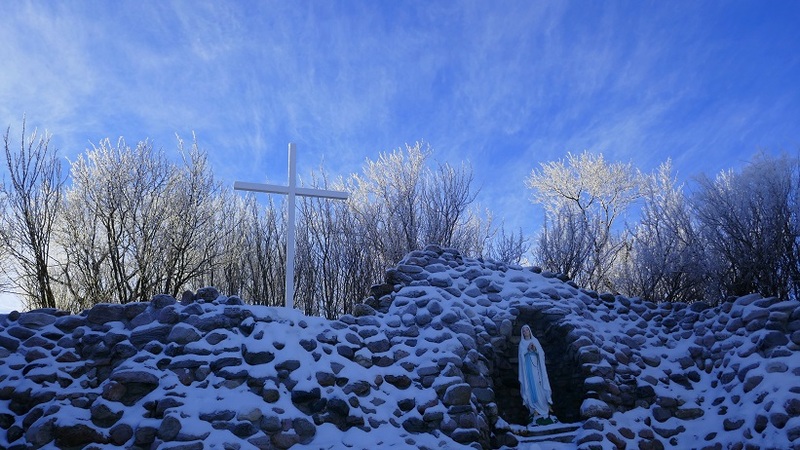 December 14: Our Lady of Lourdes Grotto at Saint Peter's Heritage Site near Kronau, Saskatchewan. The grotto was built entirely of local field stone and completed in 1917. 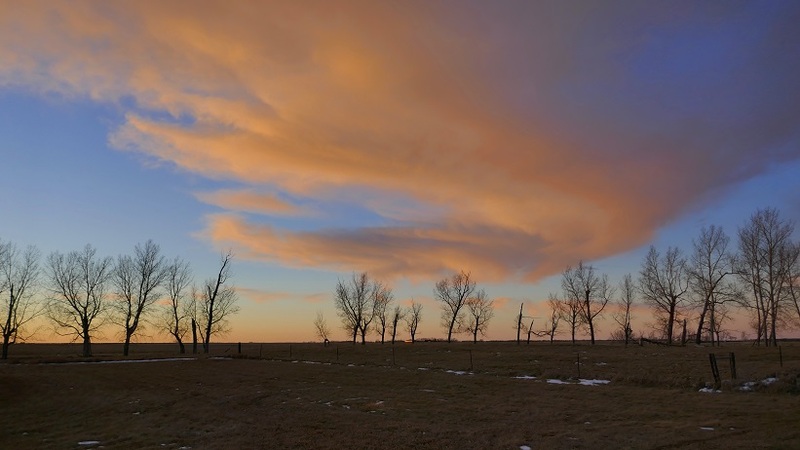 December 15: Sunset near Kenmare, North Dakota. 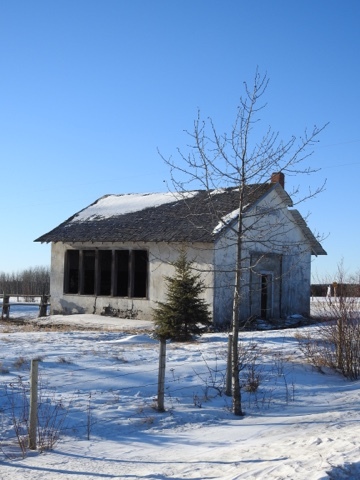 About five miles west of Hoadley, Alberta. 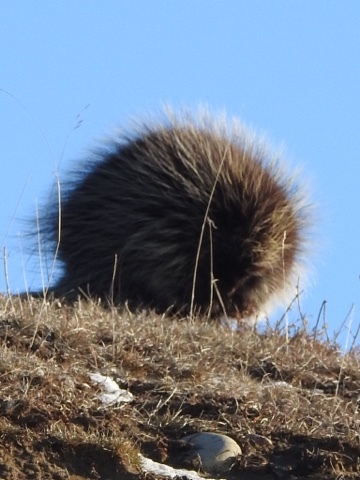 Out exploring the countryside with a friend who managed to spot a porcupine ambling up a hill. I certainly would have missed it. 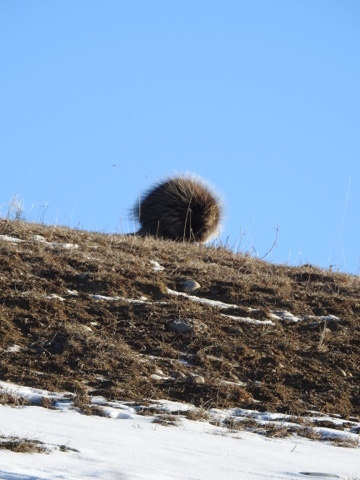 I thought it was a tumbleweed. This was almost at the extreme range of my lens. You can barely make it out but it is looking in my direction. Some days the mind wanders . . .